We are manufacturer of wide range of Automatic Changeovers like Single Phase Changeover, Three Phase Changeover and Automatic phase-changer. Our range of change-overs finds wide application in industries as well as in domestic sphere for use in low voltage distribution circuits, wherever continuity of supply is necessary, for switching to an alternate source of supply from main supply and vise-verse. It is provided of switch dis connectors with independent manual operation, capable of making, carrying and breaking currents under normal circuit conditions, which may include operating overload condition and also carry currents under specified abnormal circuit conditions such as those of short circuit for a specified time. We offer three phase automatic changeover RCT-90. Its improved circuit design enables the relay to be in 'on' position only while the gen set is in use and it remains 'off ' the rest of the time. 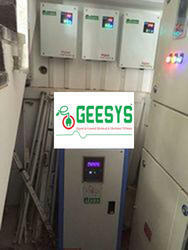 Our range is fabricated using advanced and improved circuit designs generated by our experienced and qualified electrical engineers as per market trends. 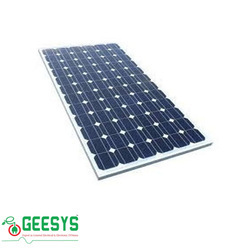 We are one of the reliable companies in this domain and are into offering Solar Panel.